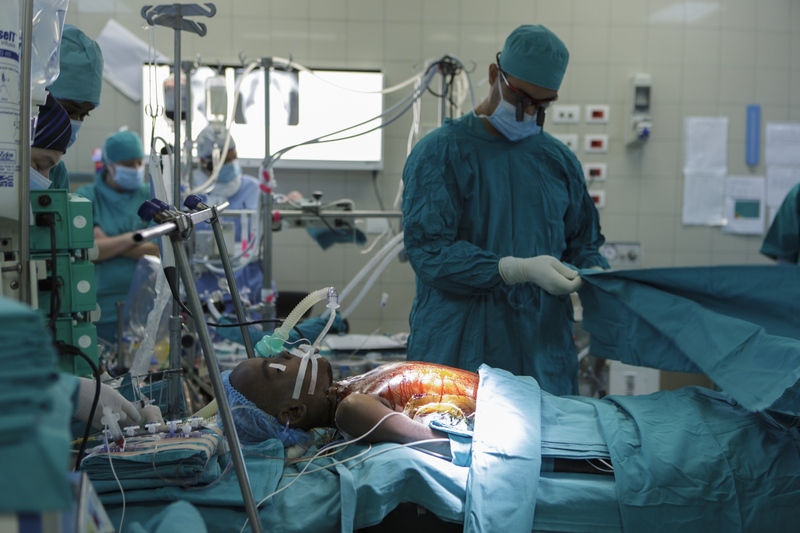 The Salam Centre for Cardiac Surgery - located in Khartoum, Sudan - offers high standard surgical care to children and adults suffering from acquired or congenital heart diseases. The Centre is managed and operated by the Italian NGO Emergency. All medical services and surgery are provided 100% free of charge to patients. 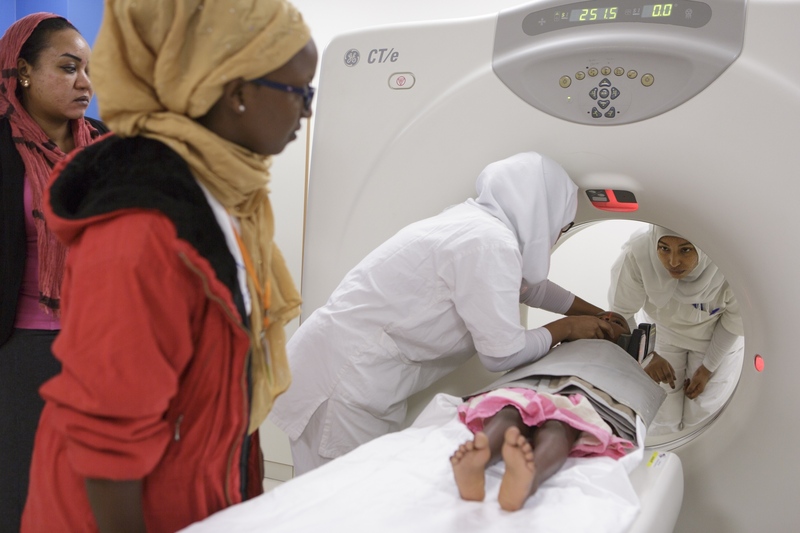 The hospital treats patients from all over the African continent, even covering airfare and providing a guesthouse for patients from outside of Sudan. It is the only hospital of it’s kind in a region that covers 11.5 million square kilometers and with a population of over 300 million people, including Egypt, Libya, Chad, Central African Republic, Democratic Republic of Congo, Uganda, Kenya, Ethiopia and Eritrea. Emergency believes that healthcare is a basic human right, and that every human being has the right to be cured regardless his economic and social condition, gender, race, language, religion and opinions. 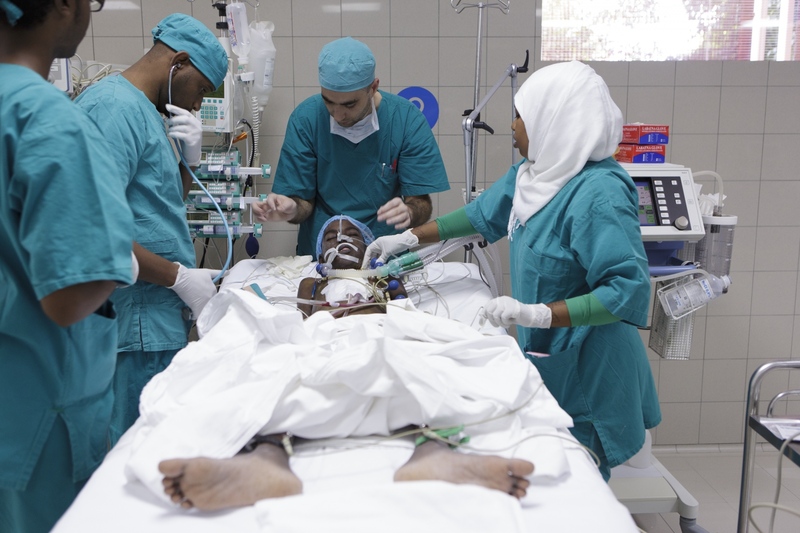 Mohamed in the operating theater at the Salam Centre for Cardiac Surgery in Khartoum, Sudan. He is being prepped for a surgery to replace his heart valve. Due to rheumatic fever, an illness that is easily treated in its early stages in developed countries, his heart valve has deteriorated to a point where his life is in jeopardy. 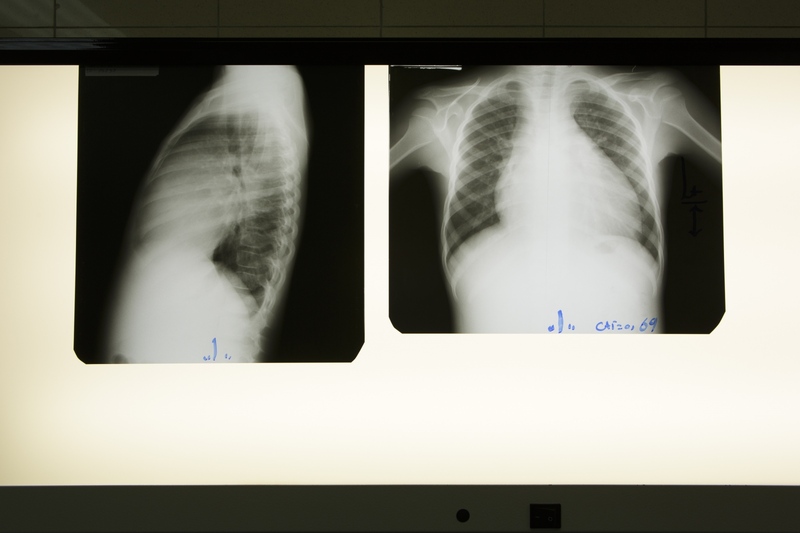 Many young patients at the Salam Centre for Cardiac Surgery have enlarged hearts, as can be seen in this x-ray. A healthy heart is the size of one's fist. Mohamed's heart has expanded dangerously to more than three times the size it should be, the effects of untreated rheumatic heart disease. 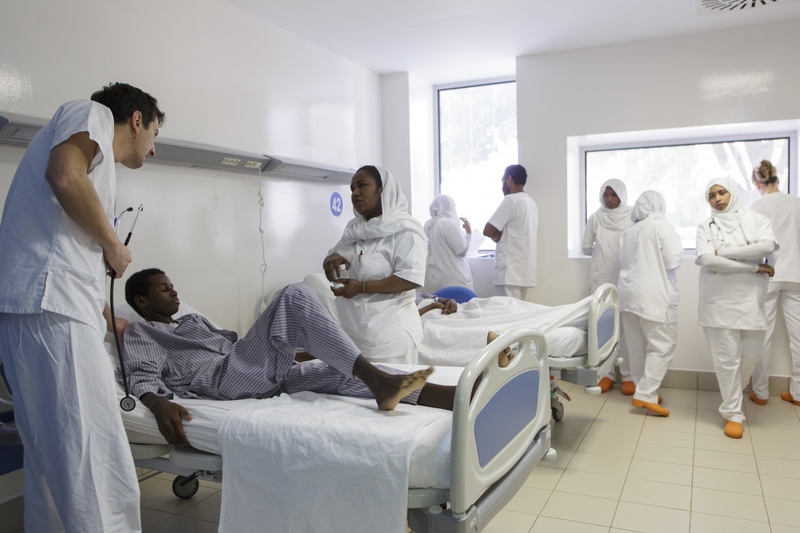 Every morning, the Salam Centre's medical staff meet to discuss all patients that are scheduled for surgery that day. 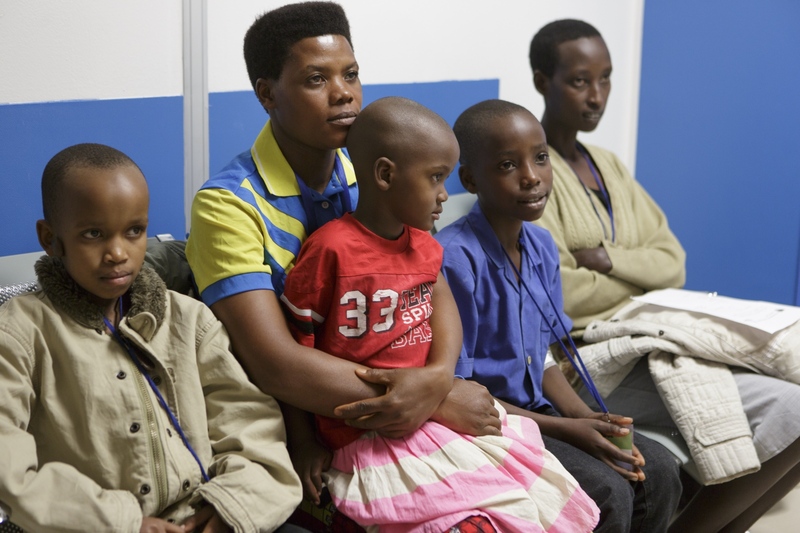 Fanny (center, in red shirt), sits on her mother's lap with other patients who recently arrived to the Salam Centre from Burundi. 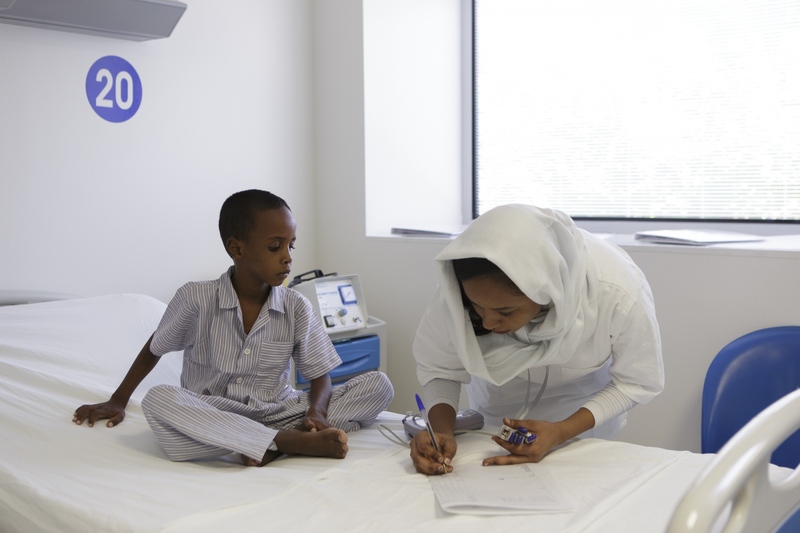 The Salam Centre treats patients from all over Africa at no cost - covering all of their hospital expenses, airfare and even medicine for the rest of their life. For many of these patients, it is their first time leaving their home country or flying in an airplane. Fanny is given a CT scan just days before her operation. 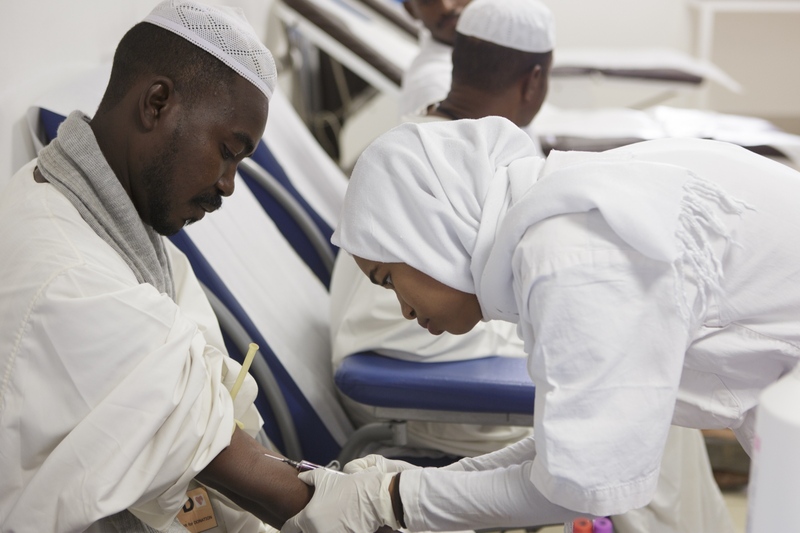 A nurse takes blood from a man whose family member is due to undergo surgery. All local patients are requested to bring blood donors to sustain the hospital's blood bank. 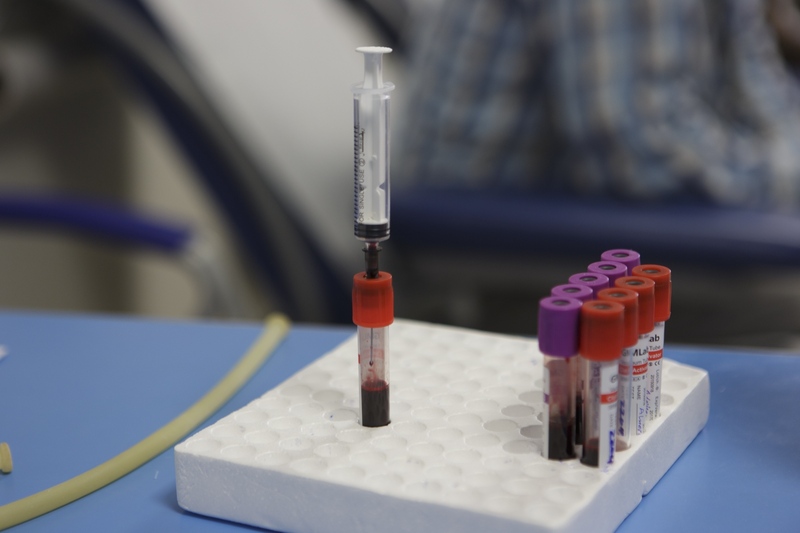 All blood donors are tested to ensure they do not transmit diseases to patients. 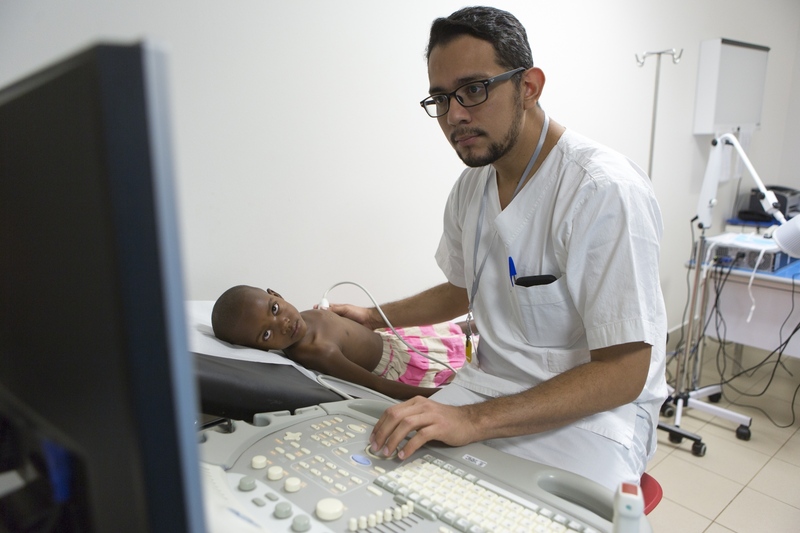 Dr. Castillo, a cardiologist from Venezuela, examines a new patient, Fanny, days before she undergoes heart surgery. 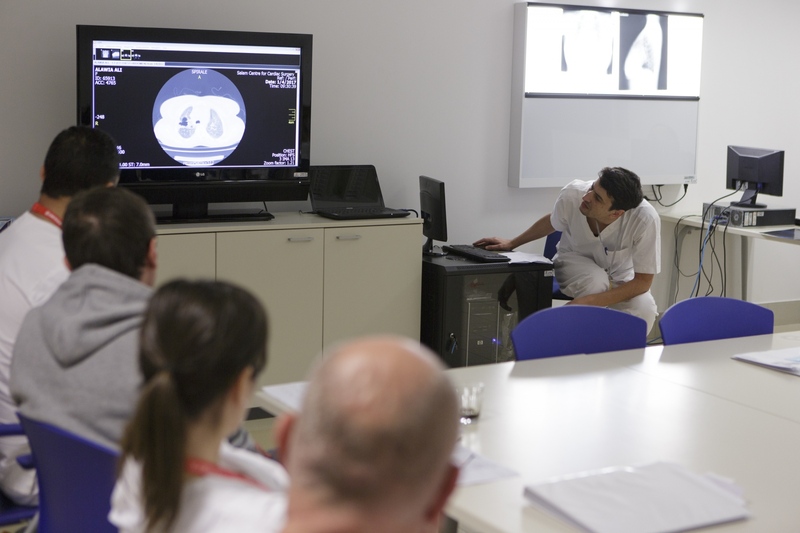 The Salam Centre, managed by the Italian non-profit organization EMERGENCY, recruits medical professionals from around the world to work in their hospitals and train national staff. Fanny sits next to her mother in her hospital room and watches her sleep. 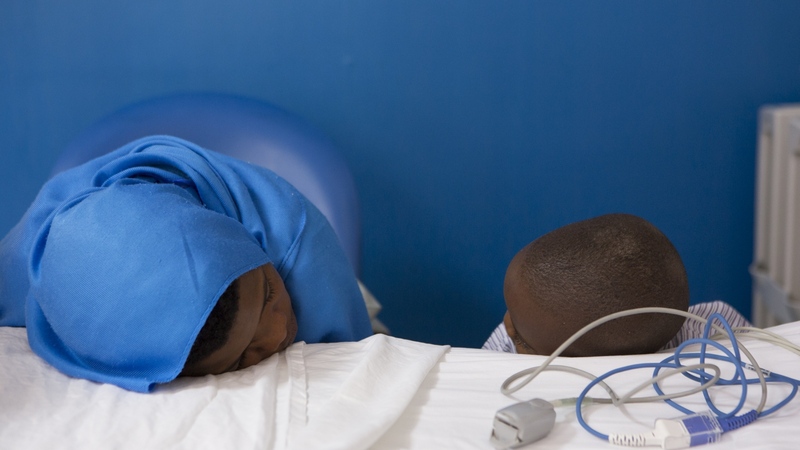 A young patient recovering from surgery observes a nurse during one of his daily check-ups. 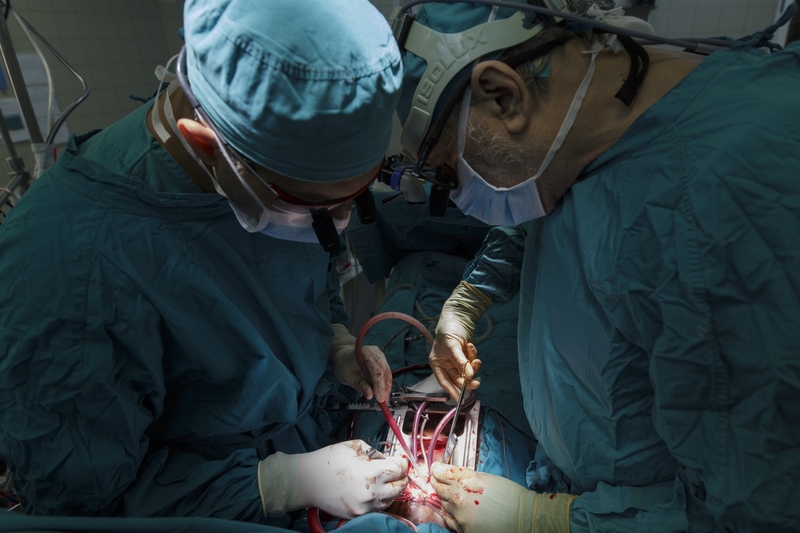 Dr. Gino Strada (right), founder of EMERGENCY, performs a life-saving heart valve replacement surgery on Mohamed. When Dr. Strada opened the Salam Centre in Khartoum in 2007, he was told he would not be able to maintain a state-of-the-art and free-of-charge surgical hospital in Africa. Ten years and nearly 7,000 surgeries later, he has proven that it is possible. During a heart valve replacement surgery, the surgeon must stop the heart from beating for a number of minutes while they insert the artifical valve. 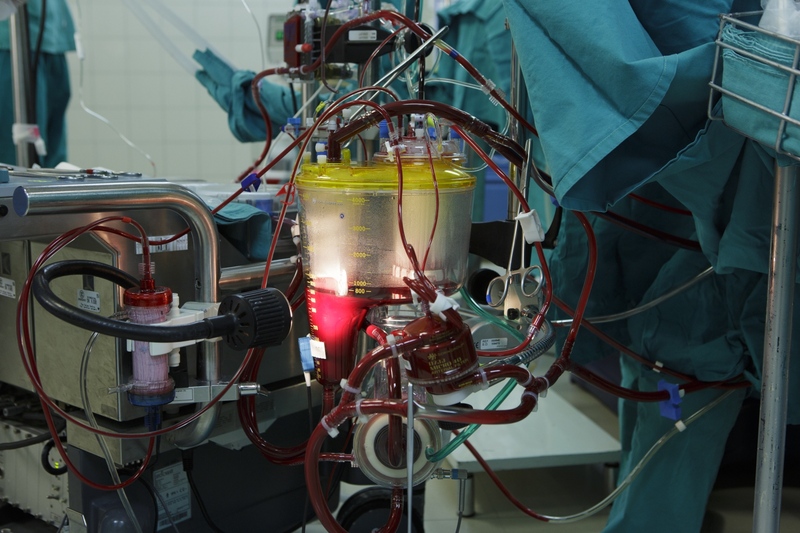 This cardiopulmonary bypass machine keeps the patient alive in these vital moments acting as the heart would - diverting blood from the heart, adding oxygen, and returning it back to the body. Mohamed in the ICU, just moments after his heart surgery is completed. Local and international staff work together, discussing the details of his surgery and the plan for his recovery. 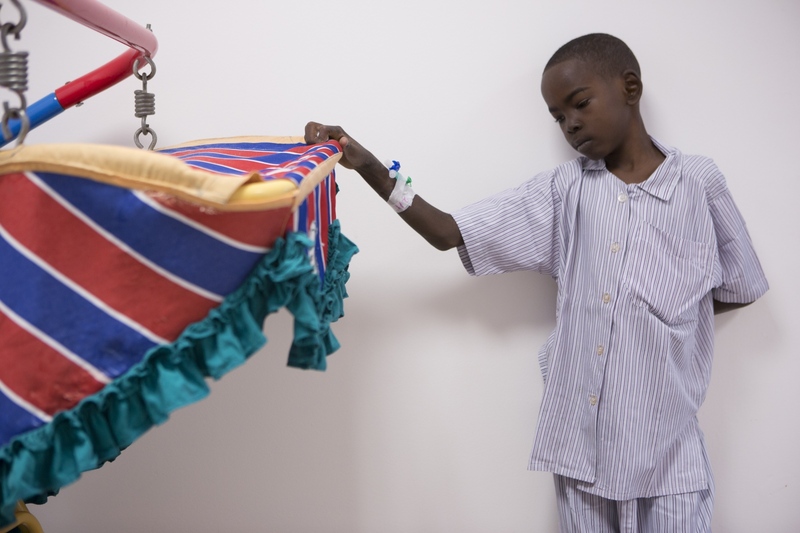 Abakkar, a young patient from Darfur, rests just days after his surgery. Dr. Andric, from Serbia, makes his morning rounds in the post-op ward with a team of national nurses. The recovery ward of the hospital has a play area for young children, which helps pass the time during their long recovery. 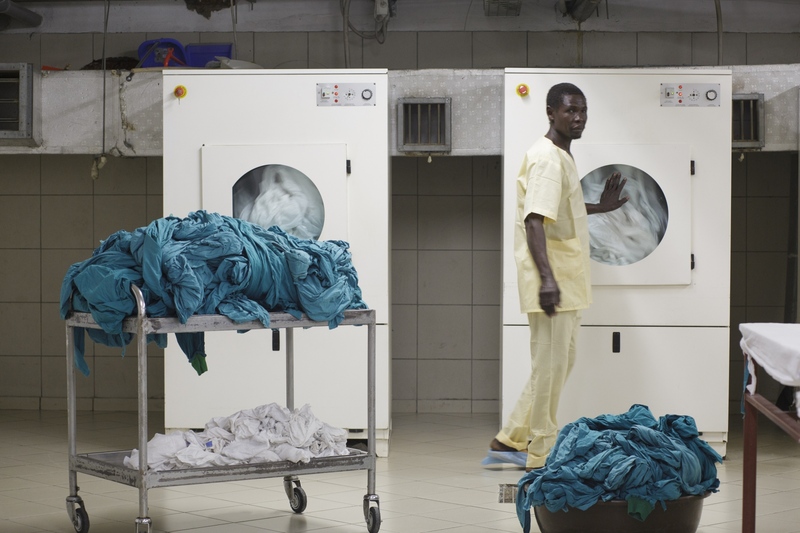 The laundry, an area of the hospital rarely seen or thought of, is a vital part of the Salam Centre. With three operating theaters, 15 ICU beds (with which sheets are changed about 50 times per day), and 48 beds in the ward, hospital staff work around the clock to ensure cleanliness. A group of post-op patients dine together in the ward. All food is prepared by cooks onsite and patients are given balanced and healthy meals. Many patients come to the hospital not only with heart problems, but also suffering from malnourishment. 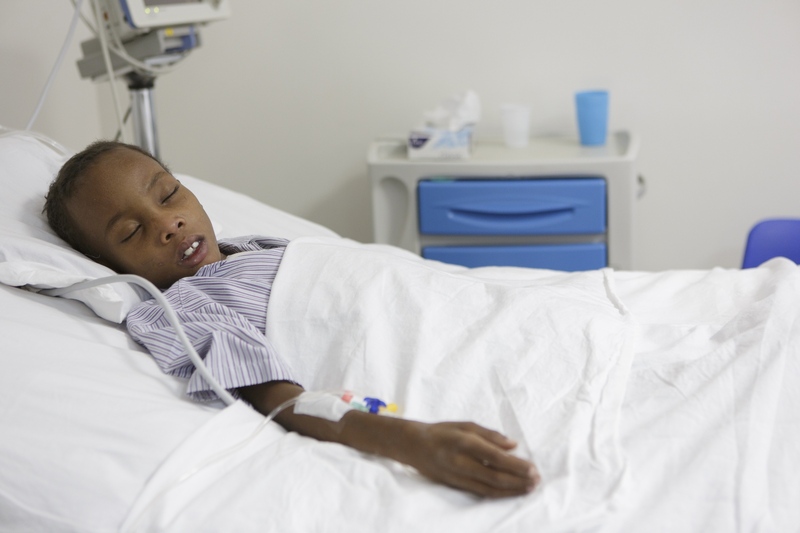 Esther, from Uganda, recovers in her hospital bed a few days after undergoing heart surgery. Patients typically stay at the hospital for about a month to monitor their recovery before going back home. 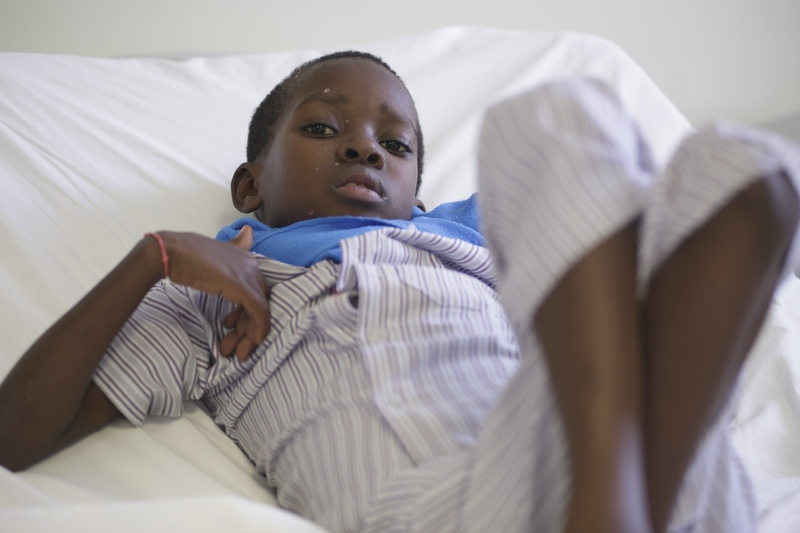 For young children like Esther, there is a guesthouse on the hospital grounds where a family member can stay so she is not alone during this stressful time. 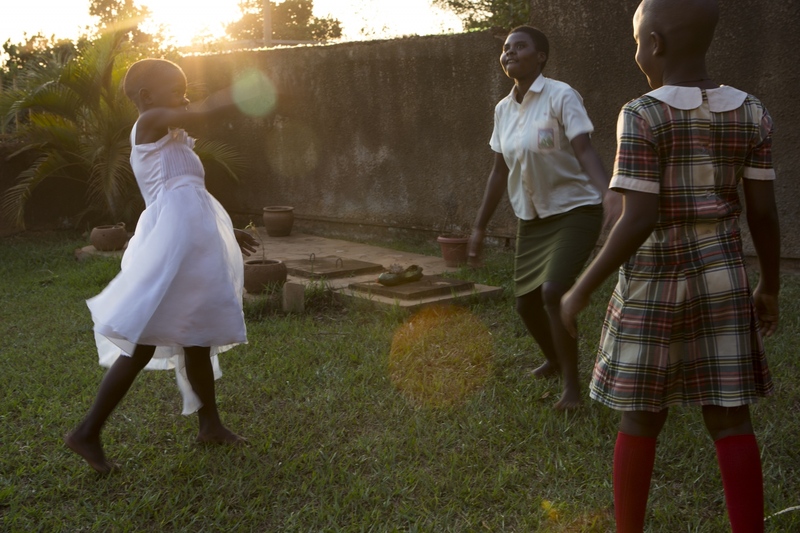 Esther (left) plays catch with her friends back in her home country of Uganda, fully recovered from her surgery. Before her heart valve was replaced, she could hardly walk without feeling out-of-breath and tired. Today, she can run, jump and dance without any problem. She says when she grows up she wants to be a doctor, so she can help people just like she was helped at the Salam Centre. 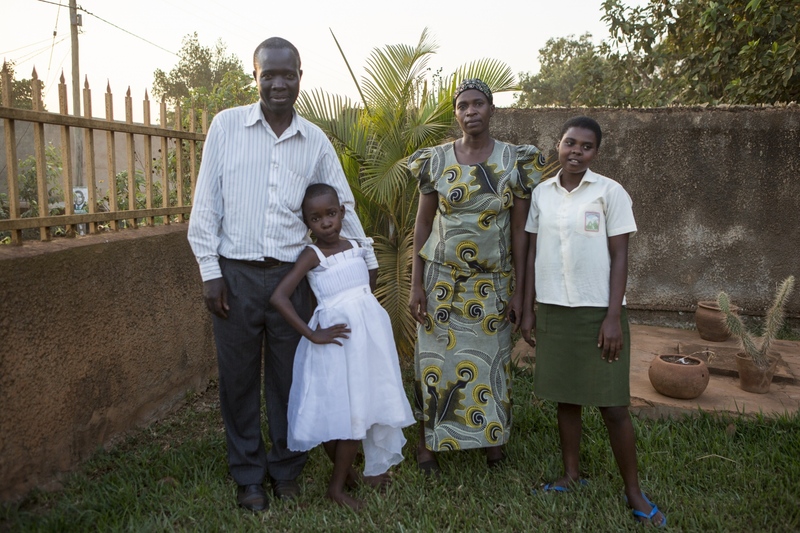 Esther poses with her parents and her friend Joanita (left) who also traveled with her to the Salam Centre to undergo a heart surgery to replace two of her heart valves. Joanita returns to her high school in Kampala, Uganda. Before her surgery, she often missed school due to her illness. Now, she is getting back on track with her studies. Courtnay Robbins photographer based in Los Angeles. Social, humanitarian photography and documentary.